FFWPU Oceania: On July 25, for the first start in Oceania region, Fiji held the Peace Road. Hon. Balmindra Singh Member of Parliament, an Ambassador Peace, was the chief guests. There were more than 60 participants. 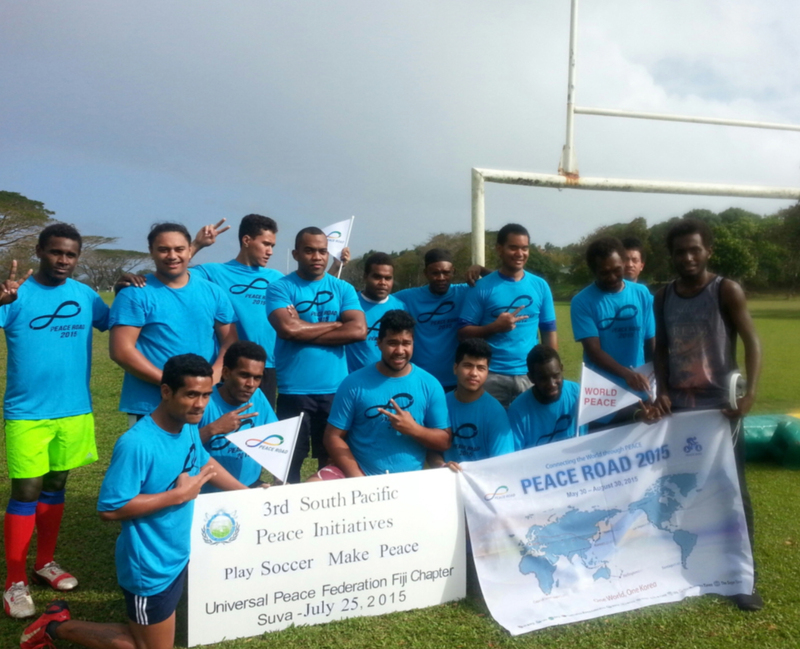 Ambassadors for Peace, university students from 13 different Pacific Island nations, UPF board members and soccer player from a local soccer team were present for Peace Road 2015. We went around the University of the South Pacific and finally came to a soccer field. We enjoyed a wonderful Play Soccer Make peace Project. There were 3 teams from the Toorak League; a local football club in Suva Fiji participated. A football club comprising students from Pacific islanders from the University of the South Pacific also took part. Again, these were from thirteen nations. A veteran team competed against both these teams for thirty minutes each. Finally, the two winning teams played a 90-minute game. It was a friendly match in which both teams scored 2 goals. Through this Peace Road event, we could strengthen our opportunities to develop core members of our organizations.